Viveport is introducing new discounts and benefits for its subscribers, but will also have a price increase from March 22. Those who subscribe before the March deadline can dodge the price increase for now and enjoy the benefits and promotions. Viveport must be hoping that users get a taste of the benefits and that will sweeten the higher price. Is the HTC Vive worth it? Viveport is where Vive VR headset owners go to get new content. The subscription is particularly practical: Every month, users can choose five VR experiences. So far, the VR subscription service has cost $6.99 a month. Speaking to AndroidPIT, Viveport President and HTC Senior Vice President of Virtual Reality Rikard Steiber was very pleased with the service's success. "Both developers and customers benefit from our service," says Steiber. What makes Viveport so unique? It started with 60 titles, and has now grown to offer 375 titles. Subscribers can try out the latest VR experiences without having to make a specific purchase decision. Many VR games are rather short and quick, which can sometimes make a purchase not very worthwhile. "Netflix and other streaming services are the model for Viveport," says Steiber. In conversation, he is convinced that Viveport is an essential component of Vive's success. As of March 22, Viveport will increase the subscription price to $8.99 per month. Anyone who subscribes to Viveport until this date will pay the old price of for $6.99 a month for the Viveport subscription until the end of this year. The price increase, however, is accompanied by two further announcements. 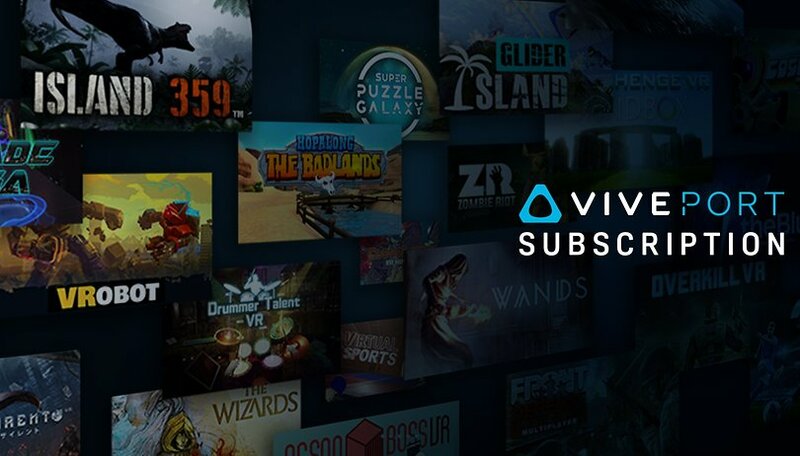 In the future, Vive wants to offer its subscribers promotions in the Viveport store. Discounts on titles for purchase are planned. Developers will be able to bring their VR titles closer to the audience. Later this month, all Viveport subscribers will receive a surprise VR experience for free. Developers should also benefit from the higher subscription prices and receive 22 percent more revenue in the future. This should promote the development of new VR content. Since may VR games are short, a subscription is better than a purchase. Do you have Vive or Viveport? How do you like the offer?